1. Line a clean, flat work space with wax paper. Then, in a medium saucepan, melt together the butter, brown sugar, corn syrup and vanilla, stirring constantly, until bubbling and melted. Stir in the marshmallows until melted and smooth. 2. 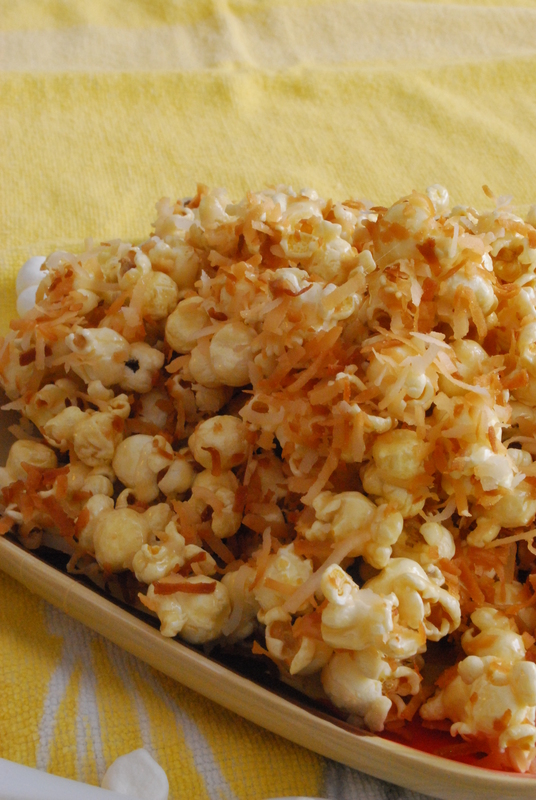 In a large bowl filled with the popcorn, pour the mixture over the popcorn and gently toss to coat thoroughly. 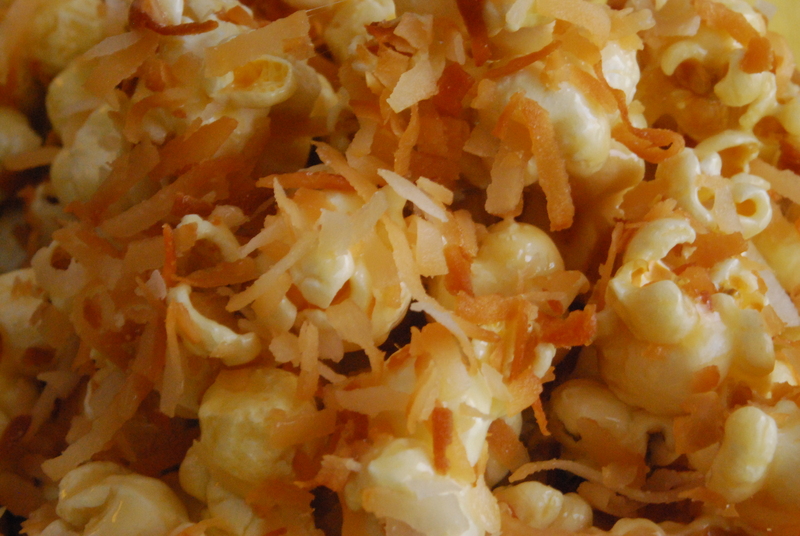 Spread the mixture evenly onto the wax-paper and immediately sprinkle with toasted coconut. 3. Allow the mixture to set for about 20-30 minutes before eating. 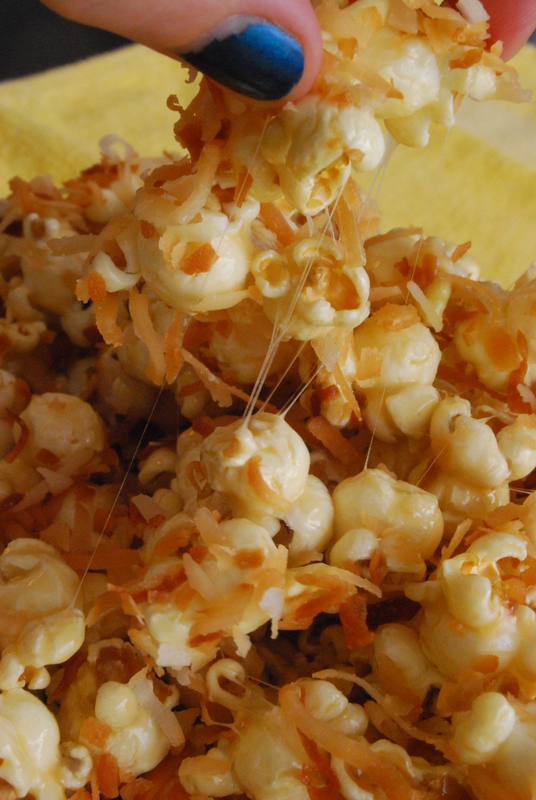 The mixture will remain sticky and more “wet” than traditional caramel corn, but the popcorn will still retain that crunch. (Think of the gooeiness of rice krispies as you pour them into the pan–that’s what this is like). Store this mixture airtight for up to 1 day for best freshness.